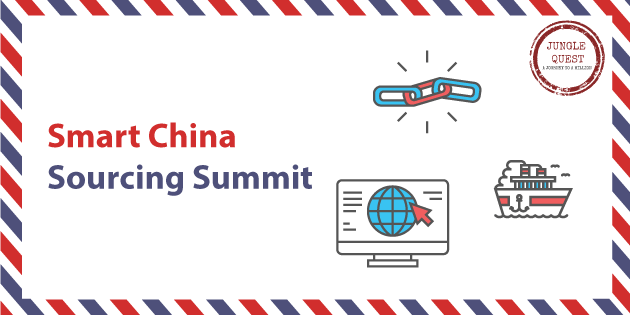 The Smart China Sourcing Summit was three amazing days of a great group of attendees, informative speakers, lots of networking, and best of all…Awesome FOOD! Private Label selling on Amazon. Didn’t make it out to Hong Kong? Not a problem! I got your back. Below you will find a few highlights that I took away. Let’s start with the boring stuff: Quality Inspection. All kidding aside, If you are serious about this business, please don’t overlook this part! The typical inspection cost is around $300. In the overall scheme of things, this is not much. For example, if you order 1000 units, this only amounts to .30 cents a unit. Just mentioning to your supplier that a Quality Control (QC) will be performed will force them to keep an extra eye out for your order. Here’s a some takeaways from the speaker Habib Rkha of Asia Quality Focus. And the number #1 thing that hit home to me? And finally, request 2 samples. Send the 1 you approve to a Quality Inspector to have on the day of the inspection. I have never used Asia Quality Focus, but I have used other services including Asian Inspection and I can attest to their quick turn around flexible rates. There were around four speakers representing their respective sourcing companies. Each provided a unique perspective. Trading companies are not always bad! They do provide value because they may lower your MOQ, provide better credit terms, and include better QC processes. The most interesting advice I received in regards to sourcing was to consider sourcing from a smaller (but still vetted) factory. If the factory has consistent purchase orders from Wal Mart or Costco, we are considered relatively small fish. Meaning we might not receive the coveted small business treatment with higher customer service…as a result, our orders can potentially be pushed to the back of the assembly line, or our concerns will not be addressed via email immediately. Urgent Order Syndrome – Some sellers want the factory to rush. While this is understandable, it is not always wise. If you rush them too much, the factory may sacrifice the raw materials that make up your product in order to meet the tight deadline. Not Drafting Detailed Requirements – This was alluded to before. Be very specific with suppliers and remember the old adage ‘a picture is worth a thousand words’. Overestimating Margins – Remember to account for logistics and packing charges. You can use the Chrome Extension and Web App to help you find a product to source! How do you know when it’s wise to send it via Air or when to have patience and ship via Ocean? Recently Nicola from Shapiro gave a very informative presentation with this topic in mind. Similarly, Anthony Chen from Flexport gave a great recap of Freight Forwarding and how to get it to Amazon’s warehouse for distribution. There are two shipping methods, Air Freight and Ocean Freight. Air is much faster, but costs more. Whereas Ocean is slower, but if you are importing the right quantity, you will save a lot of money. In Anthony’s presentation he highlighted a few Best Practices that will help insure your good transport smoothly to FBA. If you decide to import by sea, make sure to use a reliable Freight Forwarder that can successfully navigate your products from China into one of the 94 FBA Centers in North America. But then gave us a shortcut to skip it and still see excellent results. Focus on Sales Velocity. A sales velocity just means how many units you sell per day. If you aim to get your product ranked in the 10,000 – 20,000 BSR Rank, and the average units sold within this BSR (Best Sellers Rank) is 10-15 units per day, it’s a good idea to do a giveaway to match this sales volume. In this case, if you initially sold 3-5 units, doing a giveaway for a few days of 7-10 units should get your product to it’s target rank (10-20,000k) in this case. This is what some consider the secret component of Amazon’s Algorithm. Action Shots show the product in use. It’s just so smooth. What I like most about it is it’s simplicity. Generate Traffic To Your Listing. This could be targeted Facebook Ads, Amazon PPC, or reaching out to Youtube influencers to promote your product. Going full circle regarding Sales Velocity, it’s his opinion that it is okay to lose money on Ads, because advertising will drive improved sales velocity, which boosts organic Amazon ranking, which improves sales and ultimately make up any losses on advertising. I’ve heard of this guy before. After the initial tears, I realized this was the best advice I’ve ever received in this industry. He of course didn’t mean my Private Label idea was bad. He meant that I shouldn’t try to reinvent the wheel. Jungle Scout allows you to verify demand before launching a Private Label product… Effectively minimizing the risk. Manuel over at Import Dojo was the first speaker at the event and I mention him here last because he is in the process of a live case study where he launches a highly competitive $40 kitchen product on Amazon that incorporates much of the lessons mentioned above. He covers the research, sourcing, inspections, giveaways for reviews and sales velocity, and when all said and done lands his product (French Coffee Press) on the front page of his targeted keyword where he continues to receive consistent high volume orders. You didn’t have to make it out to Hong Kong (although I would have loved to meet you!) but I do advise you to always take a proactive approach. If there is a Free webinar related to selling on Amazon (Logistics, PPC, Product Launches, Review Clubs, etc.) I recommend you treat it like food for your Amazon Brain! You can also consider every Amazon Facebook group like a Summit or Networking event. Ask questions, learn from the mistakes and experiences of others, and keep moving forward.